Academic achievement awards were given on the third day of Jalsa Salana Canada 2017. From its inception the Worldwide Ahmadiyya Muslim community has always laid prime emphasis on the teachings of the Holy Prophet Muhammad (sa) that “Acquisition of knowledge is obligatory upon every Muslim man and woman.”It was revealed to the Promised Messiah (as) that the members of his community will excel others in the fields of knowledge and wisdom. 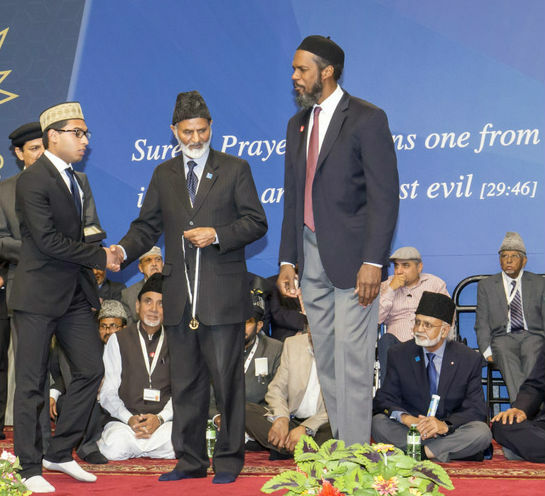 To recognize those who fulfill their obligation of seeking knowledge, and are embodiment of the revelation of the Promised Messiah (as), it is Khalifa-tul Masih’s (aa) expressed desire to award such members of the community every year at Jalsa Sālāna. Awards are conferred for Academic Excellence on merit basis and overall average of a diploma/ degree/ certificate is taken into account. Following is the list of all applicants who received Academic Achievement Award at the 41th Jalsa Salana Canada (2017).